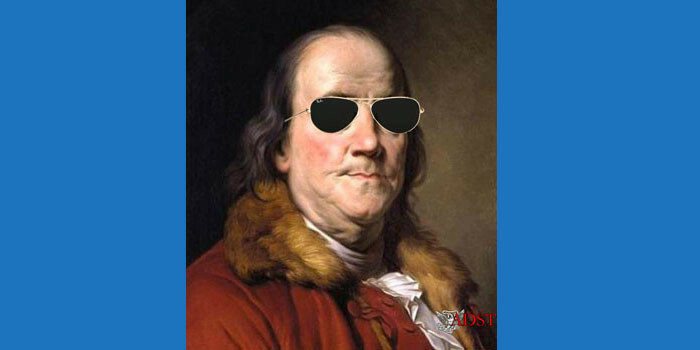 Popular U.S. politicians and their wives often become celebrities to the public, both home and abroad. This can make state visits incredibly thrilling for the public and exciting for the Foreign Service Officers who are involved in making the visit run seamlessly. Jacqueline Kennedy was one of those celebrities who caused a stir wherever she went. Known for her beauty, fashion sense, and command of the French language, she made quite an impression on the places where she visited, both with and without the President, and there was always a big to-do when she came to town. 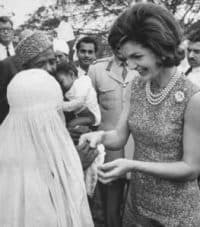 The following excerpts describe her visits to Pakistan in 1962, where she was both difficult and charming, as well as to Cambodia in 1967, at the height of the Vietnam War, when the U.S. did not have formal diplomatic relations with that country.Penelope Laingen is the spouse of Bruce Laingen, who served as a Political Officer in Karachi, Pakistan from 1960-1964. She describes Jackie Kennedy’s visit to Pakistan and all the small problems that could arise from dealing with her. She was interviewed by Jewell Fenzi, beginning March 1986. Frances C Dixon is the spouse of Ben Dixon, who served as a Political Military Officer in Karachi, Pakistan from 1962-1964. She describes the effect Jackie Kennedy could have on all the men around her and her fashion choices while in Karachi. She was interviewed by Jewell Fenzi beginning March 1986. Daniel Oliver Newberry served as a Special Assistant to Averill Harriman from 1967-1968. He describes his contentious view of Jackie Kennedy and her desire to visit Cambodia in 1967. He was interviewed by Charles Stuart Kennedy beginning on December 1, 1997. Kennedy also interviewed George Griffin in April 2002; Griffin was Vice Consul in Naples when Jackie Kennedy visited Italy in August 1962. You can read about Penne Laingen’s experiences when Bruce was a captive in the Iran hostage crisis. Go here for reactions to JFK’s assassination. LAINGEN: [Jackie Kennedy] did carry it off. She was a lovely-looking woman. I wouldn’t say she had queenly appeal. She followed to Pakistan two queens — Queen Elizabeth and Queen Sirikit, two truly queenly women — troopers. Jackie Kennedy had more of a movie-star appeal to the Pakistanis. She was fascinating. Actually, my husband was the one with Tish Baldridge [the Control Officer] and his boss who set up the visit. It was interesting, because he was quickly retired from that post. I don’t know if it was because of that. At any rate, the new Ambassador came and presented his credentials on a Tuesday and Mrs. Kennedy arrived on Wednesday, so he didn’t know anyone and had to really rely on my husband and David Linebaugh, the Political Counselor, to introduce him to people. And what was so difficult was that Mrs. Kennedy was late to everything. I don’t mean fifteen minutes late, I mean two hours late! There was no conception of the thousands of people lining the streets (in a dust storm) waiting for one glimpse of her. One little newswoman said to me: “I’m very perplexed about your Mrs. Kennedy. She seems to be an enigma. They say that she is a student of history and she loves art, and yet she is not going to see the Red Fort in Lahore, but is bypassing it and is only interested in the Horse Show. So, it was terribly interesting, the whole state visit. And yet with all the problems, of being late and the small details — her bobby pins, her frozen daiquiris, whatever it was she wanted — the impact that she had — it came off. I can still remember to this day the beautiful lemon brocade dress that she wore at the Shalimar Gardens. She was presented with a silver replica of the Shalimar Gardens, and it was the first time she had opened her mouth. But the men were totally fascinated, totally mesmerized (laughs) and, of course, this was just perfect. So, we said, all right….She wanted a private visit, but she has made it into a semi-state visit, and that’s fine. It went off. But looking back now, I think she was young, she had young children, she was having miscarriages herself, her husband — now that we know, was fooling around — so I kind of admire her now, you know? She did present a certain charisma, they had charisma, they carried it off, and America was at its peak. And so, I’m not so critical, I guess, as I was then. 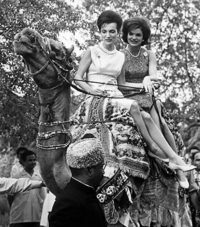 DIXON: When we were in Karachi, Jackie Kennedy and her sister, Lee Radziwill, came. They rode elephants and went up to the Shalimar Gardens and all over Pakistan. At the end of her visit she drove by the embassy and we all had to be there to wave good bye to her. As she drove by, I could see why all the men thought she was so wonderful, the way she looked at the Marine guards as she drove by. She was absolutely charming, they couldn’t have helped but like her. She arrived in Karachi in the midst of a terrible dust storm — – your whole house would have a foot of dust in it. We’d all been told to wear long dresses to the reception, but as it turned out she decided to wear a short dress, so we all had to rush around and get into short clothes. Q: Did she dictate that? They, of course, had on beautiful saris, and had looked forward to seeing her because of her reputation as such a well-dressed woman. She didn’t wear much jewelry either, but they thought she was just great. 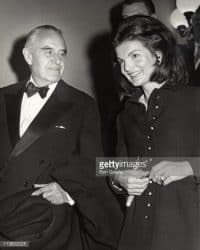 At this point in my story, when I was working for Governor Harriman, Lord Harlech, the former British Ambassador to the United States, was regarded as the principal suitor of the widow of President Kennedy in all the tabloid magazines. Well, all of this is related, to Cambodia. We had no diplomatic relations with Cambodia at that time. We had broken relations with Cambodia, and the Australian government “protected the interests” of the United States in Cambodia. I’ve forgotten who protected Cambodian interests in Washington but I never had anything to do with them. However, the Australian embassy used to bring messages to the State Department, since Australia protected U.S. interests in Cambodia. On this occasion the Australian first secretary brought me an envelope. This was one of the most stupid blunders that I ever made in my career. He had a message from the Australian High Commission in London, addressed to Mrs. Kennedy. I received this envelope automatically and, without thinking, opened it up. 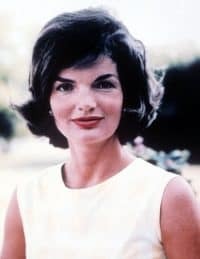 Well, much to my astonishment, as I had not known that all of this was going on, Jackie Kennedy had decided that she wanted to visit Angkor Wat, in Cambodia. Some famous French scholar had told her that she should see it. So never mind that the U.S. had no relations with Cambodia and that the Viet Cong had captured some of our people and taken them into Cambodia. They were holding American prisoners of war inside Cambodia. Jackie Kennedy just decided that she wanted to go to Angkor Wat and that she wanted to go NOW. I really caught hell from Governor Harriman for having opened the letter addressed to her. Well, I was the Special Assistant to Governor Harriman and I opened mail addressed to the Governor. However, I could tell from his tone of voice that he was very glad to know what was in the letter, because it alerted him to what problems he had to face. Of course, Mrs. Kennedy’s first reaction was one of surprise that a Special Assistant could listen to phone calls for Governor Harriman. As a matter of fact, like all Special Assistants in the State Department, I was expected to listen in on the Governor’s phone calls. When I did so, Governor Harriman was very proper. He told me, “You’re a Foreign Service officer, and when I’m talking about Democratic Party politics, you are not to listen.” He wanted to keep me absolutely clear of such matters. Of course, Prince Sihanouk was married and so forth. So this was the beginning of my, how shall I say?, disillusionment with the “Camelot” image of the widow Kennedy. However, to compress this story, one of the things I had to consider was how to get Mrs. Kennedy to Cambodia. Of course, it was a simple enough thing to arrange for commercial transportation for her and Lord Harlech as far as Bangkok. But there was no way to get them from Bangkok to Phnom Penh and thence to Siem Reap, where Angkor Wat is located. So Averill Harriman and Bob McNamara, who was the Secretary of Defense at that time, spoke on the phone to each other, and I listened in. It was very revealing. Governor Harriman said, “No, Bob, I think that on this one you should call her.” [Laughter] It was obvious that they dreaded having to talk to Mrs. Kennedy. 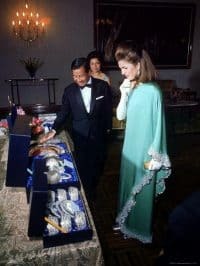 However, in the end what was arranged was that, to justify using a U.S. military aircraft to fly Mrs. Kennedy and her entourage from Bangkok to Phnom Penh, they had to cook up a mission for her. So it was agreed by Mrs. Kennedy with Secretary of Defense McNamara that, while she was in Cambodia, she would intervene personally with Prince Sihanouk to do something about getting our prisoners of war released from Cambodia to somewhere and somehow do something for the American prisoners of war held by the Viet Cong in Cambodia. So the whole visit of Mrs. Kennedy to Cambodia unrolled, and it got to be a big hullabaloo. I kept saying: “But I’m married.” So, in the end they got Michael Forrestal, the son of the late [Secretary of Defense] James V. Forrestal, who was a very eligible bachelor and who had escorted Mrs. Kennedy on social occasions. Mike Forrestal, who had served in the government, went along on this trip. It was fortunate, from our point of view in the State Department that Mike Forrestal did go along, because he was a “trained observer” and he was the only source of information as to what actually went on during Mrs. Kennedy’s “state visit” to Cambodia, a country with which we had no diplomatic relations. 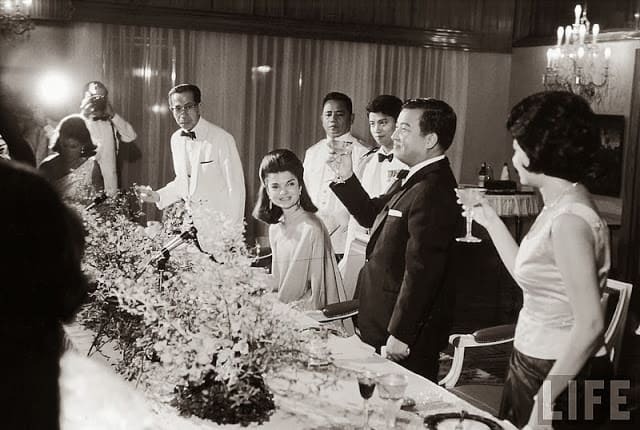 The visit took place, and Prince Sihanouk pulled out all of the stops. As the visit was coming to an end, Mike Forrestal reminded Mrs. Kennedy about her commitment to ask Prince Sihanouk for help in arranging the release of American prisoners of war. At this point Mrs. Kennedy had still not brought up the subject, in spite of repeated reminders. In the end Mike Forrestal himself had to bring up the subject with Prince Sihanouk. Of course, the whole magic of her proposed intervention was gone. I tell this story because I think that it reveals something about Mrs. Kennedy and her single-mindedness that she couldn’t be bothered to mention the American prisoners of war during all of that “glamorous” experience, in spite of her, how shall I say it?, her “chef de cabinet” [principal aide, in this case Mike Forrestal] reminding her of the prisoners of war at every step during the visit to Cambodia. Somehow or other, I’ve never been able to shake this impression from my mind. Jacqueline Kennedy came on a family vacation with her sister, Lee Radziwill, and her husband, the Prince. I don’t remember the exact date, but it probably would have been in August 1962. The President did not come. There were children there, but I don’t remember much about them. There were others, one or two other family friends. I think Mrs. Lawford was there, and a Secret Service contingent. They had rented a historic villa in Ravello, over on the Amalfi coast. It was a private visit, so we were told that we should be aware of it, but were not to take any official action. Then things started happening, like handwritten letters from the President to the First Lady. They appeared in our pouch, with no real indication as to how we were supposed to get it from the Consulate to Mrs. Kennedy. At some point the Consul General asked if one of us would like to volunteer, on personal time, with no compensation, to take the letters to Ravello. A couple of us raised our hands, and I was picked. And so I went, and it turned out to be fascinating. It was not just letters, but medicines and other odds and ends, which came almost on a daily basis. The group was in Ravello for almost a month. I went over several times, and was accepted as one of the household after awhile. The first time, the Secret Service guys were very protective, especially when I insisted on handing the President’s letters personally to Mrs. Kennedy. On the other hand, she was very gracious, delighted to get them, and invited me to come in for a drink. After that, they often invited me in. There were other people coming and going, and there were parties. I didn’t attend any parties, but was never asked to leave when one was going on. One evening I got there late, to find the Secret Service team very tense. Mrs. Kennedy had gone off with Gianni Agnelli. Later they told me they located them on his yacht off Capri. The Secret Service and their Italian counterparts commandeered other boats and stayed nearby all night.